Tell us about your role at AdSwerve and your journey into technology. I joined AdSwerve as the VP of Marketing in September. My vision is to build the brand awareness and recognition that AdSwerve truly deserves. 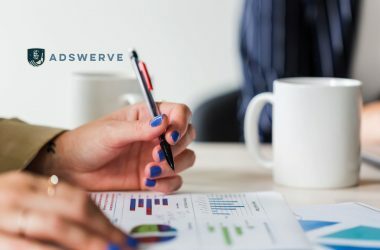 AdSwerve is such an exciting, fast-growing company with a great reputation among both its customers and Google. But since it’s never had a marketing department, it hasn’t had the capacity to share that story at scale. 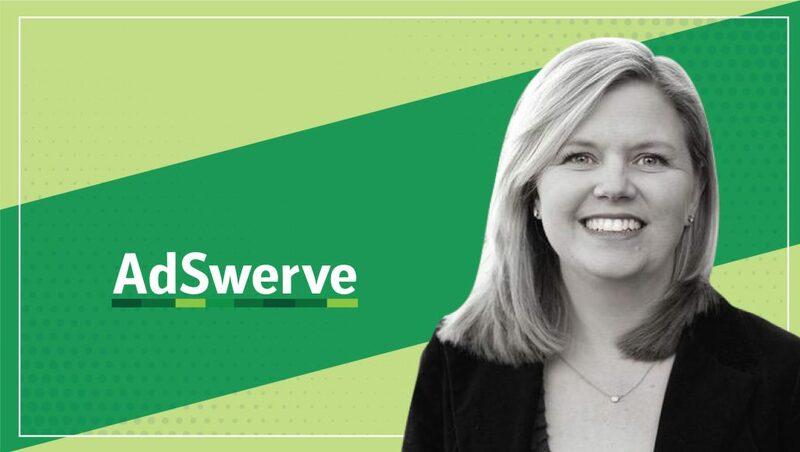 That’s why I’m here — to build the team from the ground up and share the brand story of what makes AdSwerve a leader in empowering marketers to be smarter. It’s the kind of work that I love doing! What inspired you to join the Programmatic AdTech company? I’ve spent my career in marketing; always on the client side. In my last role, as VP of Marketing at Dice (a digital recruiting website for tech professionals), one of my biggest challenges was data and reporting. I was often frustrated by the inconsistencies in reporting across multiple platforms and vendors. Often the data told completely different stories and as the marketing leader, this put me in a difficult situation when making decisions on media strategy and determining budgets. As a marketer, I can relate to the challenges our clients face today and that’s why I am excited to be a part of the AdSwerve team. Our key focus is helping agencies and marketers solve this problem, by providing transparency around data and linking analytics media buying to ultimately drive better marketing results. As a Google Marketing platform, where do you stand out in this SaaS-heavy landscape? With our acquisition of Analytics Pros, we have more breadth and depth of knowledge than any other Google Sales Partner — and we’re all about helping our clients achieve more with their marketing by using media and analytics technology together. We also stand out because our company was founded by Google veterans and together, our teams bring a decade of Google Marketing Platform, analytics and cloud experience and expertise with a level of service that is unmatched to our agency and marketing partners. We consistently hear from clients that we provide a white-glove service that sets us apart from other platform resellers. What does your ‘Ideal Customer’ profile look like? Which industries are best suited to benefit from AdSwerve products? We have two key audiences. The first is agencies. This is how we grew the AdSwerve business, working with small to medium-size agencies who wanted to access the Google Marketing Platform, but didn’t hit the spend thresholds to work directly with Google. We partner with agencies, reselling the Google Marketing Platform (GMP) product suite and providing on-boarding, training, consulting and ongoing service. With our acquisition of Analytics Pros, we are also working directly with marketers, such as GoPro, Starbucks and Toms, helping them with their website analytics and cloud for marketing implementations. This is a great opportunity for us to support clients with the full stack of GMP products. What opportunities and challenges did you and/or AdSwerve identify for 2019 and beyond? Understanding customer interactions across all touchpoints is the number one challenge for today’s marketers and to truly share data, marketers need transparency across ad campaigns and measurement. Marketers are wanting more ownership and transparency of their data. Because we work with both agencies and marketers, we’re uniquely positioned to be the bridge that helps companies connect their analytics and GMP media products, providing true integration and transparency of data. In 2019, we anticipate that we’ll be working in collaboration with our clients — on both the agency and client side — to provide this linkage across products and ensuring that data and reporting is accurate and clean. How do you work with the Google Marketing Platform to support your clients? We often help clients integrate across various platforms and products. For the GMP product suite, we’re helping clients build the linkages between Google Analytics and the media suite of products to ensure the data is flowing through to inform the media campaigns. In addition, we have the rare distinction of being certified as a partner and reseller of Google Cloud Platform, G Suite, and Google Analytics 360. We’ve successfully implemented predictive modeling and Machine Learning projects to help our clients gain insights around customer sentiment using social, web, call-center and email data. By converging on and offline data, social media insights, and other data sources, our clients are able to understand and target their customers on a much deeper and more personal level. What are your predictions on the “Role of VPs and CMOs” and the closing gap between Sales and Marketing functions? Throughout my career, I’ve always worked really closely with the sales leaders. This relationship is so critical. However, I still see a need for two distinct roles. I think marketers and sales leaders bring different skills and experience to the organization. Do you think AI-as-a-Service and Experience-as-a-Service could be the new destination for MarTech companies? We believe that AI and augmented intelligence is growing in importance with consumer personalization, but in our role as a services company, we use data to fuel future decisions and the advice that we share with our clients. Artificial intelligence or augmented intelligence is important but having a human element to help guide decision-making is critical in delivering the best ROI for clients and experiences for users. As a marketing leader, it’s so important that you can trust your data. Coming into AdSwerve and working with the Analytics Pros team, I’ve seen time and time again how clients find big mistakes and holes in their website analytics implementation. In my previous roles, I was one of those clients who didn’t trust their data and I’ve learned that you have to first build that solid foundation. If you’re not confident in your data, you could be wasting money and missing opportunities. As a Preferred Google Marketing Partner, we work closely with the Google team to ensure that we’re delivering the latest product innovations for our clients. For more than a decade, the collective team has supported Fortune 500 companies like SAP, Visa, Starbucks and GoPro and has a rich history and great reputation for the collaborative work we have done with 10,000+ agency marketers. We also conduct regular interviews with agency leaders and CMOs to make sure we understand their priorities and challenges. Any advice to all the marketing leaders in your community? Invest time and money to conduct an audit of your website analytics data to ensure it can be fully trusted as the #1 source of truth. Every action you take, every application you use, every decision you make, should be based on insights garnered from trustworthy data. 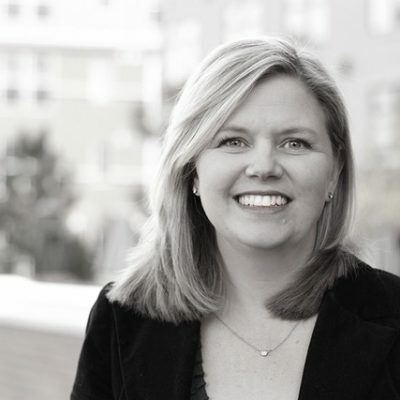 Sharen Phillips, Head of GMP Partners at Google. Thank you, Kristina! That was fun and hope to see you back on MarTech Series soon. Broad expertise in B2B and B2C marketing with start-ups and Fortune 500 companies across the telecommunications, consumer packaged goods, technology and higher education industries. Brand visionary with demonstrated experience in creatively formulating brand strategy and positioning across organizations. Exemplary track record of driving revenue and results, through direct response programs and digital campaigns. 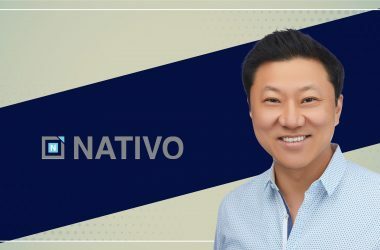 Dynamic team leader with strong communications and coaching skills, managing global teams of up to 45 employees across the United States, Canada, Europe and Asia. Skilled at managing multi-million dollar campaigns and budgets. Experience managing marketing budgets up to $150M. AdSwerve’s goal is simple: Using our experience and knowledge of this ever-changing digital space, we scour the industry for the best tools, do the homework so you don’t have to, and become an extension of your team to provide the technical solutions you need. We are more than a partner: we work in lockstep with you to build technical bridges between powerful, market-changing tools and your business to accomplish your goals. Our success is your success.